Check your basement for leaks in any exposed ductwork. Make sure your furnace blower is running, and hold a lit candle up to the visible ductwork joints. If you find leaks, seal them with mastic tape. Seal up leaks to conserve the air you're heating. Weatherstrip exterior doors, re-caulk and cover your windows with plastic film and install a chimney balloon. Don't forget to check the basement, garage and attic for any spots where cold air from these unheated areas can infiltrate your living space. Make sure you get a precision furnace tune-up every six months. This comprehensive checkup can improve its efficiency, and help you save money on your heating bill. The semi-annual maintenance includes cleaning or replacing the filter, but you should check it every month during the winter. While your technician is there, ask about having a programmable thermostat installed. You could save as much as 30 percent on your heating bill by learning how to program it, and then setting it for a 10-degree temperature drop while you're sleeping, and whenever there's no one home. While you're in the attic, check your insulation situation. You should have 7 inches of insulation (that's a minimum) to keep warm air from escaping through the roof. Optimize your heat circulation. Set all your ceiling fans on reverse, and turn them on 'low' to push the warm air back down as it rises. If your home has two stories, let the rising heat help warm the rooms on the upper floor. We hope you are staying warm this winter! If you need us, we are here. Contact us at Gilman Heating & Cooling. Valentine's Day is this Sunday - guys if you haven't gotten the special woman in your life a little something, stop what you are doing and go buy chocolates, flowers and maybe some jewelry! On this day of love, it is important to remember who and what is important to us - and that includes the roof over our heads. Showing your home a little love is important to keep it running smoothly all year long! 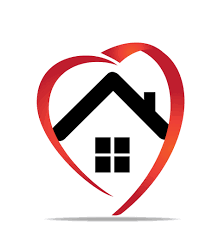 Follow our 5 tips to show your home some love this Valentine's Day: 1. Bring your home a present! Homes love a nice bouquet of flowers. 2. Do a mini makeover. Thinking about rearranging some pictures? Do it! Small things like this immediately make a home happy. 3. Give your home a fresh coat of paint. Nothing says love like a color update. Stick to a small room, like a bathroom, and choose a bright, happy color. 4. Make sure your home is being cared for by keeping up to date with inspections, general maintenance, etc. We offer home inspections for heating and cooling with our Home Energy Audit Inspections. 5. Take your home to the spa with a deep cleanse. Get carpets, floors and drapes professionally cleaned. Your home will thank you. Happy Valentine's Day from all of us at Gilman! 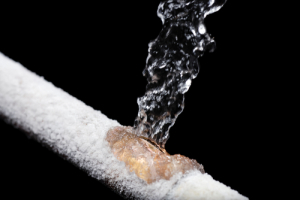 Frozen pipes can cause all sorts of problems. Be sure to pay attention to when the temperature drops into the teens or lower. Frozen water lines often result in broken pipes and water leaks that damage walls, flooring and personal property. Plumbing repairs and cleanup work can cost thousands of dollars. Fortunately, you can take steps to prevent frozen pipes from causing you headaches this winter. Insulate exposed piping. Insulate pipes that are outside your home's heated space, such as in the attic, crawl space or in exterior walls that aren't protected from the cold. Protect outdoor piping. Remove garden hoses from outdoor faucets. Turn the water supply to outdoor faucets off inside the house, if possible, and leave the outdoor faucet valves open to drain water and relieve pressure. Drain the sprinkler system. Drain sprinkler lines and weatherize the system according to advice from the installer. Open kitchen and bathroom cabinets. Leaving cabinet doors open lets warm air from inside the house into spaces where water supply lines are exposed to cold walls. Be sure hazardous materials in cabinets are kept away from children. Drip faucets. A trickle of water running from hot and cold water pipes will help prevent freezing and will relieve pressure in water lines in the event that they do freeze. Keep the heat turned up. On extremely cold nights, leave the thermostat set a few degrees higher than you normally do to help protect plumbing. If you'll be away from home for several days, leave the heat set to turn on if the weather turns cold. The extra money you spend on heat will be cheaper than repairing damage from broken pipes. Call Gilman Heating & Cooling for help weatherizing your Richmond home for greater energy efficiency and to prevent frozen pipes. If you have lived in Richmond for any period of time, you know that the town essentially shuts down for flurries. So, with that being said, we wanted to give you a few tips to survive the first threat of snow this weekend. Get to the grocery store ASAP! At this point, the bread may be gone, but stock up on items that don't require a fridge or heat, in case you lose electricity. 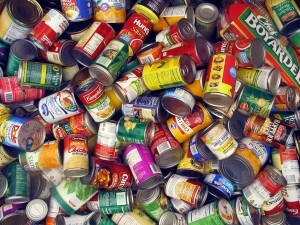 Canned goods, bottled water, ice and snack foods like goldfish are good in this situation. If you are lucky enough to have a gas powered stove, you can purchase soups, and other dry foods you can heat on the stove. It is important to make sure you have extra batteries, candles (be careful to never leave an open flame unattended), glow sticks, matches and wood for those of you with real fireplaces, a lighter, blankets that are easily accessible, an emergency kit, flashlights, hand warmers, a non-electric can opener and rock salt, sand (cat litter works) and a snow shovel for outside. Make sure you have a full tank of gas in your car - you can charge your phone, use the heat, etc. We do not recommend venturing out in severe weather. Be sure to have all emergency numbers - local fire, doctor, etc. - in an easy to access place in case you need them. A battery operated or hand crank radio is good to stay up to date with the news/weather conditions. Make sure you have all prescriptions and over the counter medicine that your family (and pets) need. Be sure to leave your faucets on slightly so that your pipes don't freeze. A slow drip is just fine! Some books, board games and other fun ways to pass the time! We hope you all stay very warm this weekend. In the case of a heating malfunction, call our 24 hour service line (804) 277-4241. If you do lose heat in your house, it is important to note the using a gas powered stove is NOT a safe way to heat your home! With temperatures dipping into the teens at night this week, it is clear that winter is here. This week we give you our top 10 tips to keeping you comfortable and warm in your home this winter. Let sunlight in during the day. Once the sun is up, you want to capture as much of that free heat as possible. Even on cold days, the sun is still warm. So before you leave the house for the day, open up those curtains and let the light shine in. Keep curtains closed at night. Once the sun goes down, keep all that heat you let in during that day from leaving through the windows by closing the drapes. Check out your ceiling fans. You don't normally think of ceiling fans when you think of the winter months, but they may be sitting needlessly dormant. Many fans have a “winter” setting, which reverses the fan so that it moves clockwise vs. counterclockwise. Since heat rises, the clockwise-spinning fan will push the heat back down into your rooms versus being trapped up at the ceilings. This is especially recommended if you have high or sloped ceilings. Move furniture away from vents. You may have unknowingly placed furniture in front of heating vents when you moved in or rearranged. Go around the house and double check that vents aren’t blocked, and if they are, find a way to move your furniture, at least for the winter. This will make sure every room is getting its max heat potential. Seal leaks. We all know the obvious ones - windows and doors, but air could be escaping beyond the windows and doors - think attics, basements (where cements meets the wood frame), even kitchen hood vents. Take a look at this handy guide from energystar.gov to find those leaks and seal them. Hint: caulking can be your best friend. Keep certain rooms toasty warm by closing doors. If you spend a lot of time in certain rooms, you can close doors and create a little sauna. If you have big, open spaces, you can use room dividers; it may not seem like much, but any blockage that keeps air from escaping just a little less quickly will help keep things warmer. You can also close doors to rooms that aren’t frequently used in your home — just make sure you also close the vents in those rooms. This sort of acts to lower the heated square footage, and the warm air will spread quicker and easier through the house. As a bonus, this will save a little bit on your heating bill, too. Use the oven. Baking, convecting, and broiling things will keep your house warmer, especially in rooms nearest the kitchen. Don’t be afraid to roast a chicken or bake a ton of cookies when the temperatures dip. Bonus - bring the cookies to your coworkers and become the office favorite! Add layers to your wood floors. According to the National Energy Foundation, uninsulated wood floors can account for up to 10% of a home’s heat loss. Carpets and rugs were created for a reason — to keep rooms warmer. They’re far better at trapping heat than your creaky wood floors. Add a rug or roll of carpet to your floor in the winter, and you’ll notice a difference in coziness. Utilize space heaters, but with caution. Space heaters are excellent tools for keeping individual rooms warm. The danger is that they are a high-risk fire hazard, especially compared to other tips listed here. To ensure the safety of your household, keep any flammable material at least three feet away, and make sure the heater is on an even and stable surface. Never leave space heaters on overnight or when you leave the home (there are timed space heaters that turn off after 1-4 hours that are a better option than entirely manually-operated ones). Additionally, it’s a good idea to only use space heaters that shut off automatically when tipped over. We hope you all stay warm this winter! If you find yourself with any heating issues give us a call for out 24 hour emergency service.